Cloth diapering has come a long way. Just a generation ago, cloth diapering options involved choosing between blue-capped or pink-capped diaper pins. Now a parent opting to cloth diaper has to wade through an overwhelming variety of diaper styles, sizes and systems. As a parent who has at least one of every major style and brand of cloth diaper, I can attest that choosing the “right” cloth diaper can be a difficult task, but a little research and reflection can help narrow down the choices and help a parent make an intelligent decision. Knowing and understanding all of the major options available in the world of cloth diapering is the first step towards making a decision on cloth diapers. While this overview doesn’t cover the entire gamut of options available, it does represent the five major styles of modern cloth diapers. 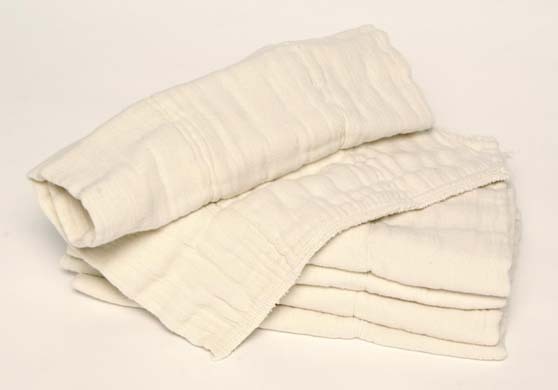 What it is: The prefold is the good, old-fashioned, simple diaper that our parents and grandparents used. 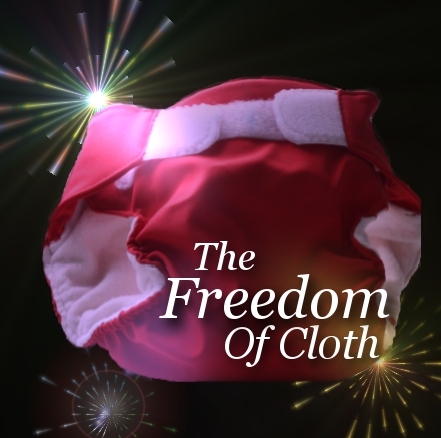 They are made from super-absorbent cotton or hemp, and they are very inexpensive. Inexpensive. Prefolds are easily the cheapest way to diaper. Versatile. Prefolds can be used regularly with a waterproof cover. They can be used to stuff a pocket diaper. When your child outgrows them, they make excellent dust rags. Long-lasting. Good prefolds are extremely durable and will last through years of washing. Can be lacking in the “cute” factor. There’s a small learning curve to getting the diapers folded just right. Prefolds require additional hardware: either pins or Snappis are needed to hold the diaper closed. You’ll want a waterproof cloth diaper cover if using a prefold. Prefolds are very absorbent but they are not waterproof. Examples of a prefold brand: Green Mountain Diapers offers some of the best-known prefolds, starting at just $2.00 each. What it is: The contour diaper is much like the prefold, except that it is pre-cut like an hourglass, so it does not require additional folding. Inexpensive. Next to pre-folds, contours are among the least expensive cloth diapers. The cute factor. There are lots of beautiful prints available with contours. Like prefolds, they also require a cloth diaper cover. Also like prefolds, they require diaper pins or a Snappi. Example of a contour brand: Kissaluvs produces a line of popular contour diapers, starting at $6.95. What it is: A fitted diaper is shaped like a contour, but they are equipped with built in snaps or velcro so no additional “hardware” is needed. Easy to use. There is no folding or pinning to learn with fitteds. High cute factor. Lots of great “work-at-home-mom” businesses produce beautiful fitteds. Fitteds require an additional waterproof cover. Sadly, that often means you are hiding a very cute fitted. They are very labor-intensive to produce, and can get pricey. Example of a fitted brand: The Goodmama is the best-known fitted diaper. While their retail prices start at $29.00, but some of the most beloved of these collectible diapers have been known to fetch prices in the triple digits on the secondary market. What it is: The pocket diaper is a very popular two-part diaper option. The diaper has a pocket for stuffing absorbent inserts or pads. Pocket diapers have waterproof shells, so no additional cover is needed. Customizable. The pocket diaper can be stuffed with one or more inserts of varying absorbency to accommodate heavier or lighter wetters or different times of the day and night. Cute. Pocket diapers often come in cute colors. Easy to use. Pocket diapers have built in velcro or snap closures. The slight “ick” factor. The inserts need to be removed for washing, which means handling a wet diaper insert. Because pocket diapers require separate inserts, they are a little bulkier to store and transport. Example of a pocket diaper brand: Bum Genius has a line of extremely popular pocket diapers. What they are: The All-In-One diaper (sometimes abbreviated as “AIO”) functions like a pocket diaper except that the insert is integrated into the diaper. AIOs have a waterproof shell and integrated snaps or velcro fasteners, so the entire diaper is literally one piece. Ease of use. AIOs are as close to a disposable as one can find in the cloth diaper world. Cute. AIOs come in different colors and patterns. Price. AIOs are typically the priciest of the non-collectible cloth diapers. Example of an AIO brand: Swaddlebees All-In-One diapers are well known and come in a variety of styles and colors. Which option makes the most sense for my family? What is your reason for cloth diapering? Are you cloth diapering to save money? Look to prefolds or contours. Are you doing it because you are worried about the environment? Nearly any cloth diaper fits that bill. Do you want to cloth diaper because cloth diapers are freaking adorable? You’ll be shopping for fitteds. These are all legitimate reasons to choose cloth diapers, and each one opens up a different selection of diapers. How old is your child? Some cloth diapers are “one-size” (often abbreviated as OS), meaning that they are designed to grow with your child by the simple adjustment of a few snaps. One OS diaper can follow a child from newborn age until he is potty trained and still be put away for future use by any younger siblings. Other diapers are sized from newborn, small, medium to large which means that new diapers must be purchased as the child grows. What is your budget? One of the more surprising things about cloth diapering is the market for designer diapers. Some people do in fact pay fifty or more dollars for a collectible diaper. At the opposite end of the spectrum, a family can cloth diaper for just a few dollars. There is a huge variety in prices in cloth diapering, and budgetary concerns need to play a role in deciding what diaper is right for your child. The “X” Factor: What diaper will fit your child well? This is the tough question because all babies are built differently. Some have long torsos, some have short legs. Some have chubby bellies, others have fluffy butts. All of these factors and more mean that different diapers will fit different children differently. Unfortunately, this “x” factor often means that the diaper must be tried and tested on your child to be sure whether it will work as expected. Reading and research is no substitution for experience. Some cloth diaper stores, such as Jillian’s Drawers, offer cloth diaper trial packages, which include a variety of cloth diaper brands and styles to try out and keep or return. For any number of reasons you may be surprised by which style of diaper ends up being a favorite for your family, so rather than investing in an entire stash of a certain style it may be best to invest in a trial package to see which has the best fit for your needs. If the trial package isn’t feasible, then purchasing just one or two diapers of a certain style at a time is a good way to find out through trial and error which diaper is your best bet. Our own stash started with a handful of Bum Genius pocket diapers, two Goodmamas, a pack of prefolds, and an All-in-One. Cloth diapering can be rewarding for many reasons, but investing in cloth diapers is not something that can be taken lightly. Investing in an entire stash of a cloth diaper that just doesn’t meet your expectations isn’t something any family wants to do. With research and review, a complicated and at times overwhelming process can become fun and rewarding. Happy diapering! 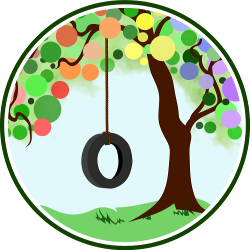 Visit Natural Parents Network for the most up-to-date news on the Freedom of Cloth Carnival! Jenn, this is such a fantastic resource! There is information in here that even seasoned cloth diapering mamas may not have considered, but it’s a great primer for those new to cloth diapering, too. I love how well you covered the benefits and drawbacks of each diaper style. Thank you for putting this together! I know I’ll be sharing it with new moms in the future. I agree with Melissa, this is fabulous! There are so many options and it can be overwhelming to new parents starting out as to what to choose and what will work for them. The try and buy programs are great and this was the reason I decided to become a Diaper Party consultant, people need to see and feel things before they commit to a system. Your article is so thorough – I am so glad you shared it with us! This is an awesome post Jenn! We jumped into investing in one whole system when Bean was born (it ended up being a bad idea- we couldn’t make it work for us) and narrowly missed giving up on the whole idea because of it. @Amanda – that’s the wonderful part about this blog carnival – all of these posts are meshing together so nicely. There have been a lot of people talking on the same topics, but each has their own take. I wish there was a carnival like this around when I first started to explore cloth diapers. What a great resource this carnival has created for future cloth diapering families! Thank you. This is a wonderful resource for cloth diapering. You break it down so clearly. I’m bookmarking & I’ll be passing along this link whenever someone asks me about cds in the future. Another diaper style: All-in-Twos – AI2. I was surprised to see contours on there but not AI2. I’m drooling over that tie-dye diaper. The thing that frustrates me about insanely cute fitteds, is that you then have to cover them up. (sigh) At any rate, we did prefolds/fitteds for the first few months, then switched to covers. I’m sure we’ll do something similar for #2. @Alicia – great point about the AIOs. That’s actually the main reason I dislike them. I actually have no experience at all with the AI2 diapers. I don’t own any and have never actually seen any. That’s certainly something I could stand to educate myself on. Very interesting–I’ve never heard of ‘contour’ diapers before–and I even have one! I just thought it was an insert and I use it with my AI2–it’s awesome for that. I will say that many AIOs are now stuffable like pockets, to add absorbency, depending on the brand. However, unless they are the kind where the liner part comes out/flaps free in the dryer, they are a PITA to dry. The perfect AIO is stuffable and flaps free in the dryer–unfortunately, it’s also pricey! I also had no idea how much fitted diapers cost. To me, that’s unbelievable for something that your kid can only wear around the yard without a cover (or the house if you don’t mind damp spots)–although I do know that many are made very soft and amazing-feeling as well as adorable. This is a very thorough resource. It’s well organized and really lays everything out nicely. Thanks!